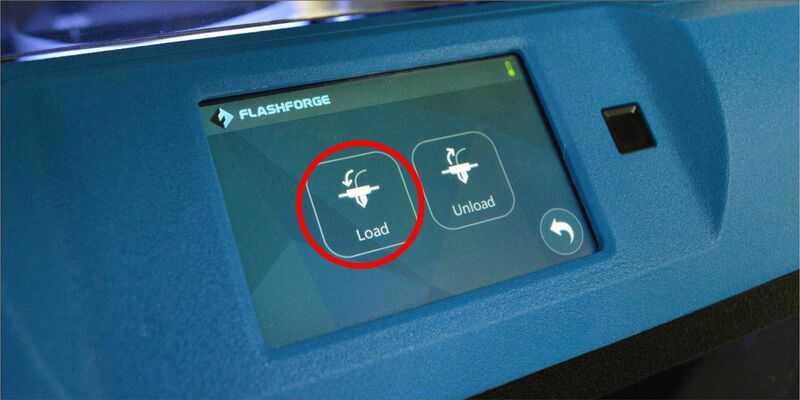 To begin, you first need to remove the filament holder from the back of the printer. grip onto the filament holder, and pull the small lever to release it. Then lift it vertically out of the printer. 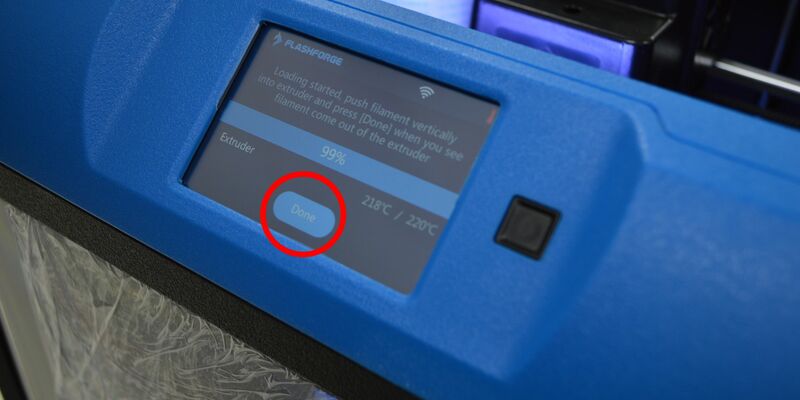 If the black tube has been disconnected from the filament holder, you should re-insert it now. Simply insert the filament tube into the top of the filament holder and push it firmly into the black holder. From now on, you shouldn't have to remove the filament tube. Take your filament and cut neatly along the top edge of the bag. NOTE: Keep the bag and silica gel packet, as you can use it to store the filament away when not in use for more than a week. 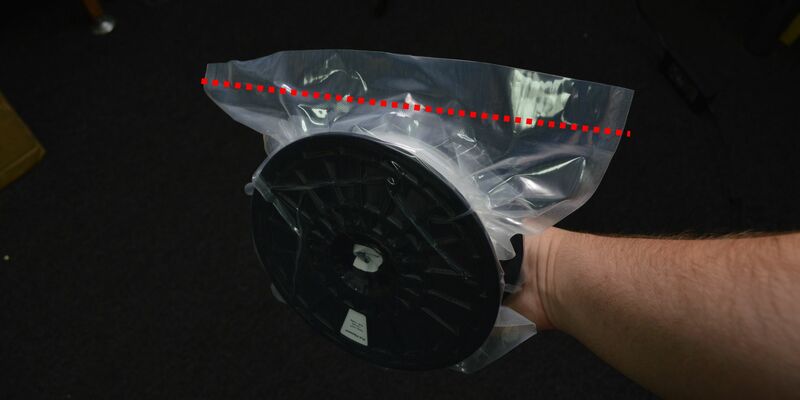 Alternatively, you can use large zip-lock bags to store filament safely. 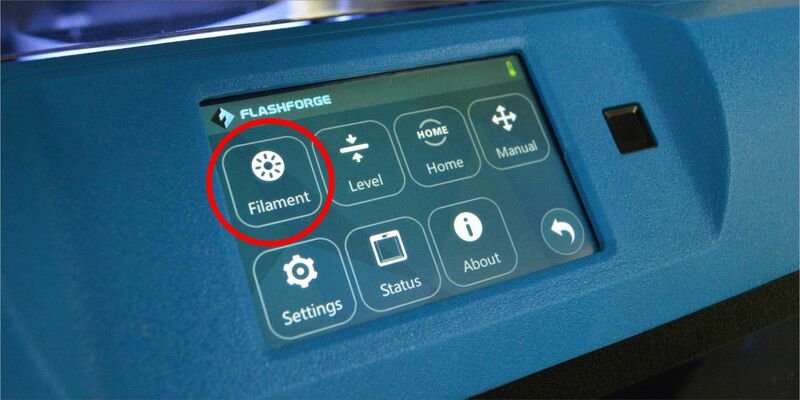 Now, from the Main Menu, navigate 'Tools' > 'Filament' > 'Load'. NOTE: If you hear a thudding sound, apply pressure to the filament and it should work it's way through the nozzle. If not, email us at info@makersempire.com and Luke will help you through the issue. Congratulations, you've just finished loading filament into the Inventor IIS. Your printer is now ready to print.